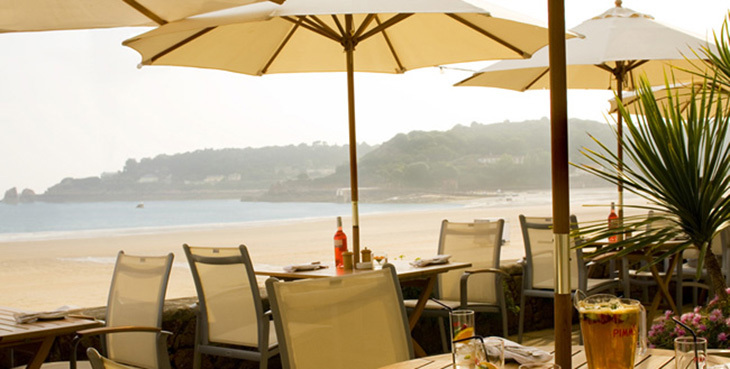 Jersey is the largest of the Channel Islands and is a beautiful mix of unspoiled green valleys, pristine fields and Caribbean-like coastline with clear waters and white sandy beaches. 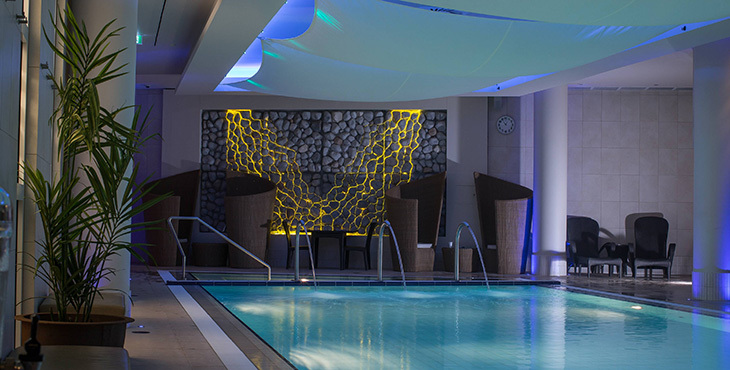 At only 35 minutes by plane from London Gatwick, we decided it was high time for us to visit this spa paradise and we were not disappointed. 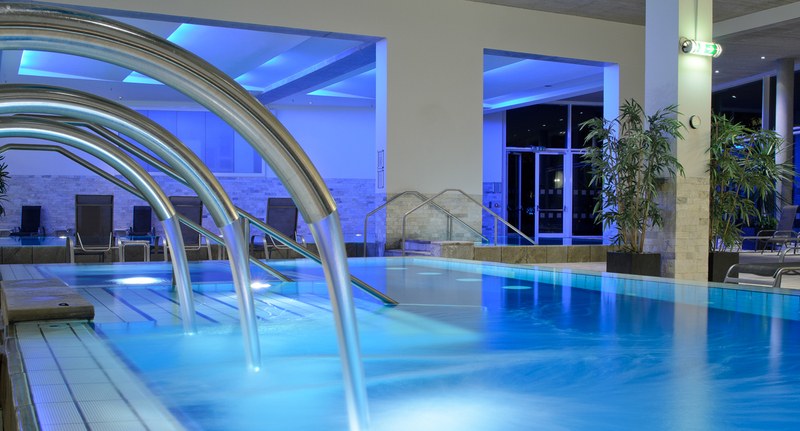 A hop, skip and jump across the channel and you will find yourself on a perfectly petit island (just nine miles by five) that has nine spas, so visitors are spoilt by choice. From cocooning subterranean spas to light and airy wellness centres there will be something here for every spa-ista. Jersey feels very international. Both English and French are spoken and most places have French names. Vive la France! The food is positively divine, with fresh local produce and seafood in abundance. 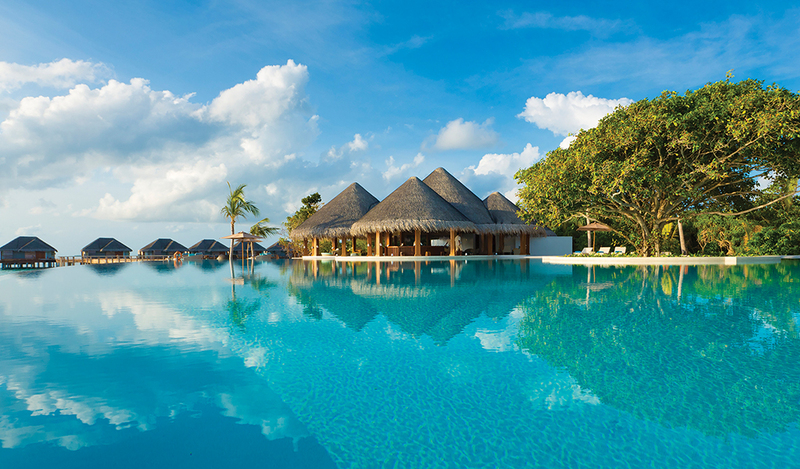 Indulge your taste buds at one of the several Michelin starred restaurants on the island. The spa at The Club Hotel and Spa is small compared to others on the island. However, the hotel’s lovely little outside pool with a terrace and loungers is a wonderful place to while-away an afternoon in good weather. The spa offers upmarket treatments, including Ayurvedic, Rasul, and Gentleman's treatments. St Helier’s shops are a short walk away and you can return to the hotel for a Michelin-star meal in the evening. 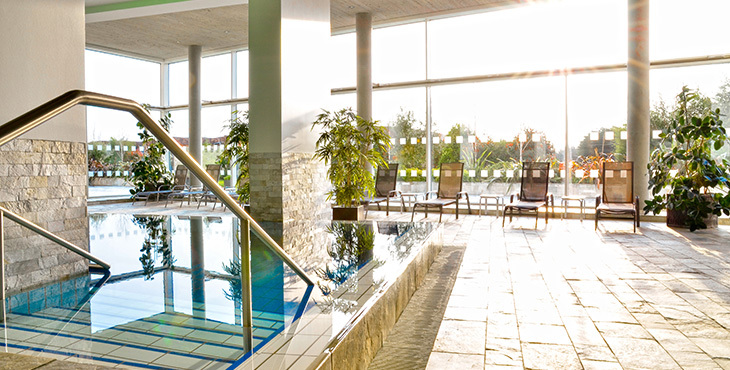 So whilst The Club Hotel and Spa is not really a destination for those wanting a whole day of spa-ing, there is still plenty to keep you occupied in the area. 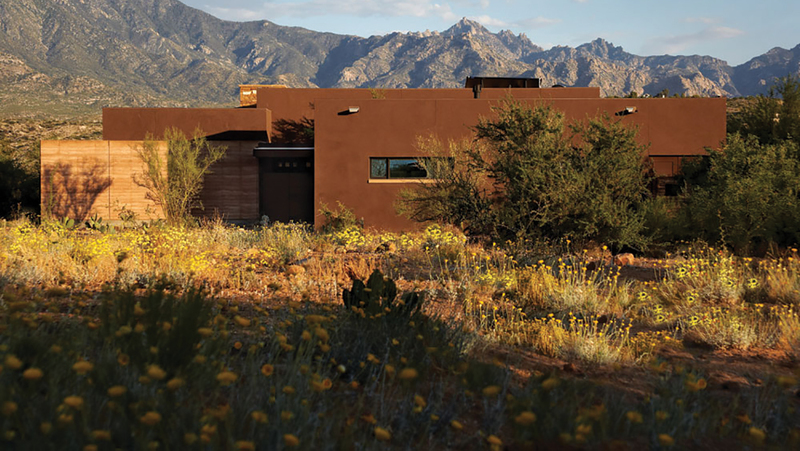 View the spa's treatment menu. St Helier is very much the place to see and be seen on ‘the rock’ (as the locals say). The Royal Yacht Hotel boasts a unique nautical theme, and Spa Sirene offers wonderful marine-based treatments by the French brand Phytomer. 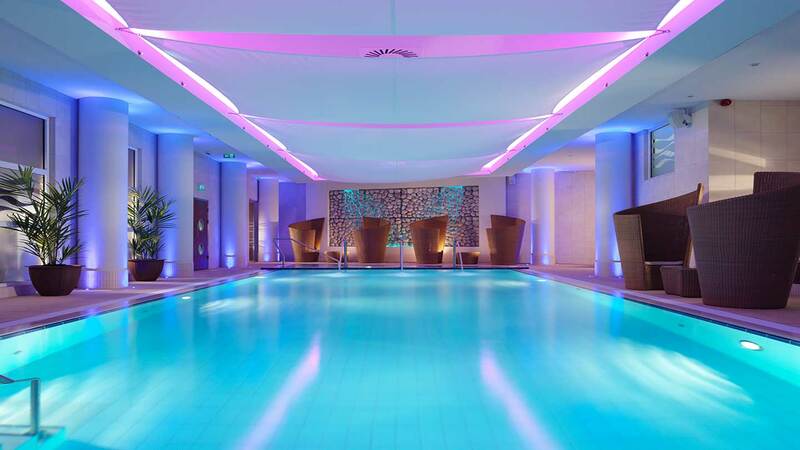 Spa Sirene is a child-free zone so choose this spa if you’re looking for a peaceful day. Hotel guests with children are given complimentary kids passes for the Aqua Splash water park which is five minutes from the hotel. 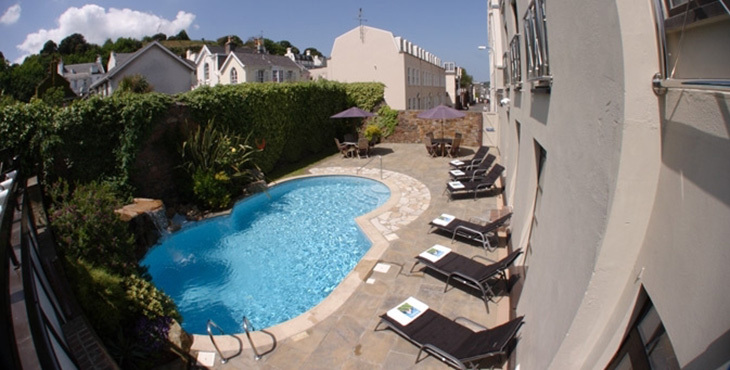 Grand Jersey is a large yet cosy venue perfect for an autumn or winter trip. The subterranean spa is lit to enhance the sense of cocooning, and the lavish relaxation room is a wonderful place to lounge about and read. The ESPA body treatments are top notch, while the hotel has a huge terrace with heaters from where you can watch the sunset across Elizabeth Bay. If the weather is bad you can still gaze at the sky from the splendid Champagne bar with its huge central feature fireplace. Michelin star chef Richard Allen will satisfy any hunger cravings in Tassili Restaurant. Ayush Wellness Spa is all about space and light, and feels very different from the other, mostly subterranean spas on Jersey. 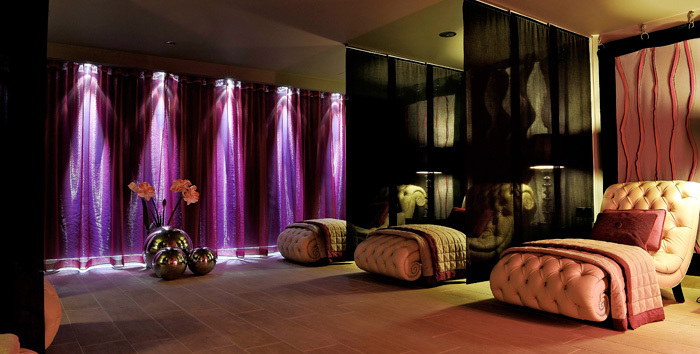 This brand new wellness extension at Hotel de France is one of only few dedicated Ayurvedic spas in the UK, so Auyush is ideal if you crave something authentically Indian. Both treatments and food will be tailored to your dosha or body type. L’Horizon Beach Hotel & Spa is does exactly what it says on the tin: it sits right on the beach. Relax on a chair on the sea front terrace or, if the weather is not great, you can gaze at the sea from the raised Jacuzzi next to the pool. L’Horizon Spa offers the whole range of Elemis treatments including the new Biotec facials.